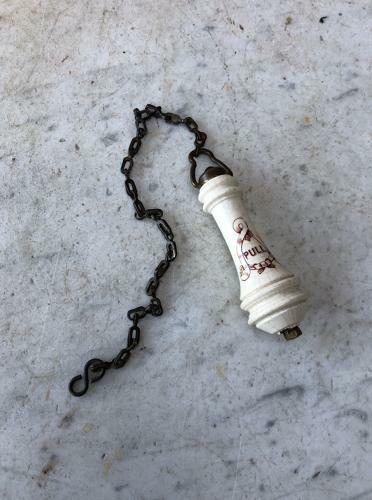 Edwardian White Ceramic Decorative Loo "PULL" on its brass chain. No damage just age crazing. All good.